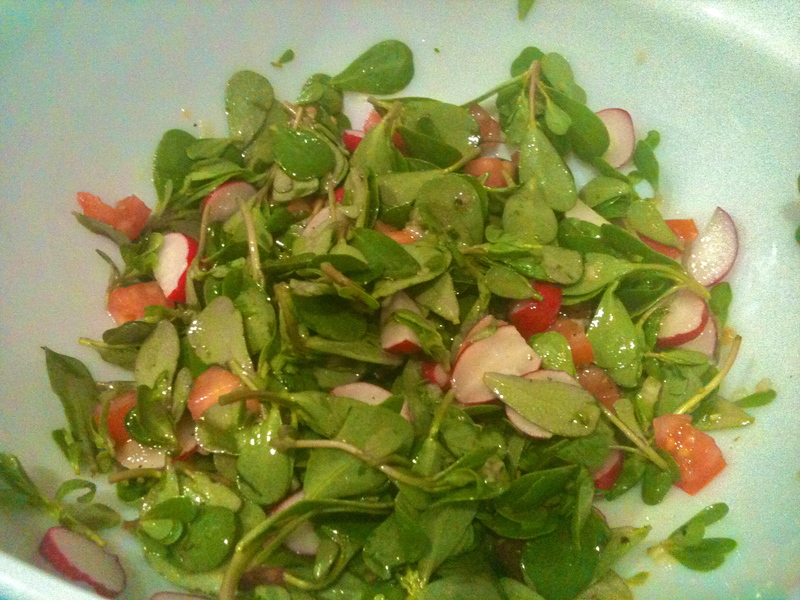 Watercress and Radish Salad with Mustard Jalapeño Vinaigrette. The farmers market had some beautiful watercress and radishes on Saturday, so I picked up a few bunches of each, content in the knowledge that a yummy salad was in my future. Most of the time, I’m not a salad fan–or more accurately, not a lettuce fan. I’ve found that the salads in my life fall into two categories: boring or bad for you. That’s why, when I think of a salad like this one, which is neither boring nor bad for you, I get really excited and have to share it! 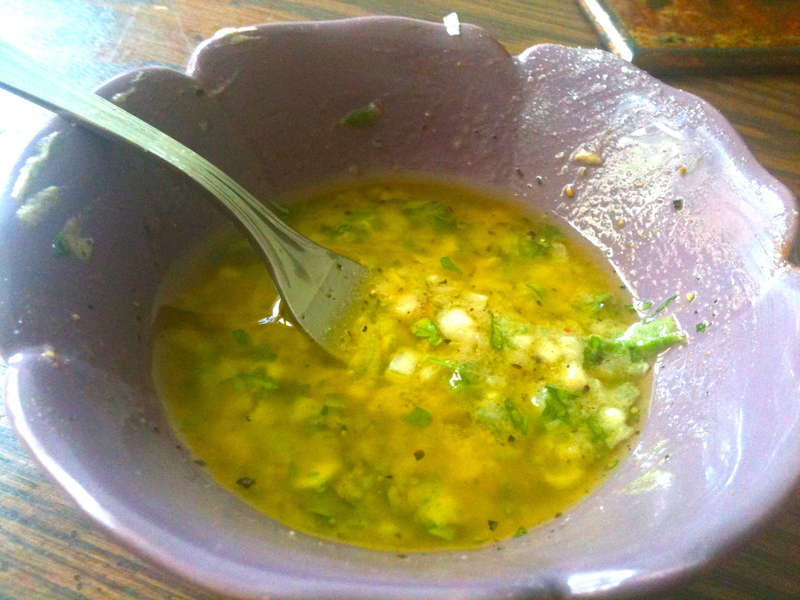 In a small bowl, whisk together olive oil, vinegar, mustard, marmalade, shallot, jalapeño, parsley, and salt and pepper. 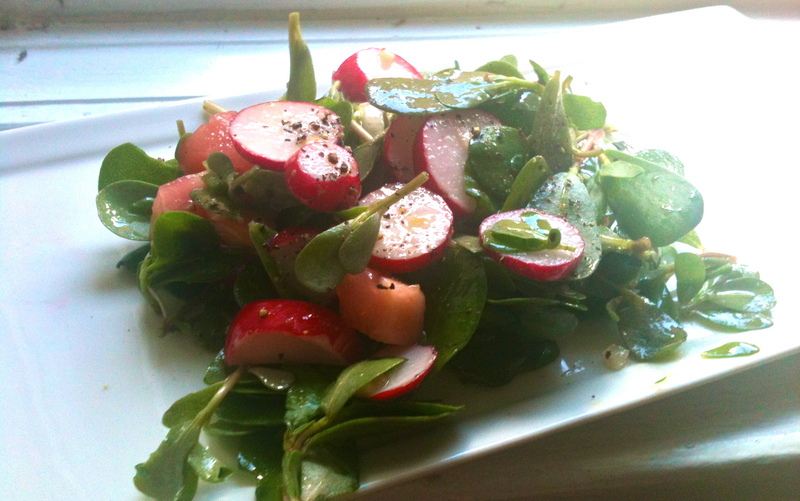 In another bowl, combine watercress, radishes, and tomato. Toss all ingredients together. Pile onto a plate and sprinkle with more pepper. Enjoy!